Price: Euro 17 a person on a group tour. From Euro 150 to hire a private boat. 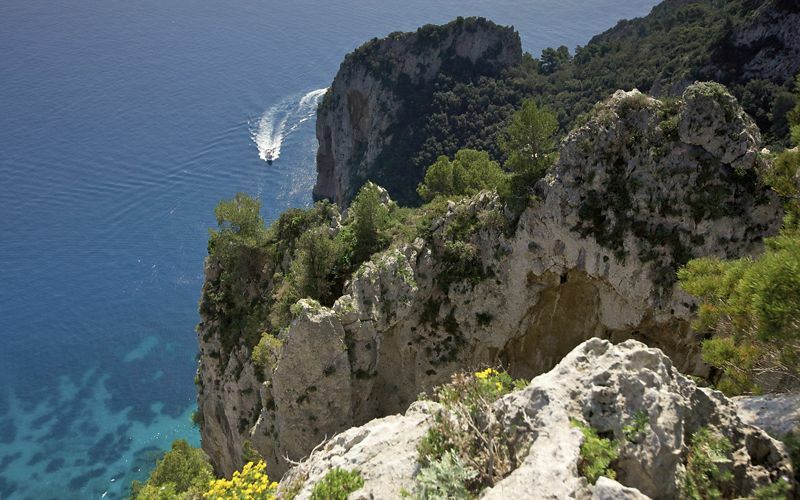 No visit to Capri, Italy is complete without at least a few hours spent on the surrounding Mediterranean, as taking to the turquoise waters is the only way to explore its dramatic coastline, dotted with tiny coves and breathtaking grottoes. Each day, organized group tours leave from Marina Grande, offering a tour of the island by sea lasting an hour or two (the perfect solution for daytrippers), or you can hire a private boat, with or without a skipper. Almost all the organized group tours include a stop at the Blue Grotto for those interested in visiting. 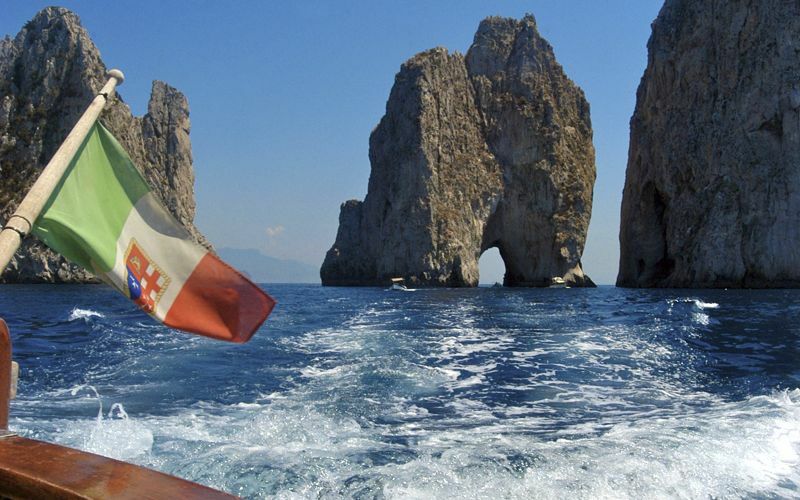 The ticket price to enter the Blue Grotto is not included in the ticket price for your boat tour. Tickets for the Blue Grotto can be purchased at the entry to the grotto and cost 14 euro a person. 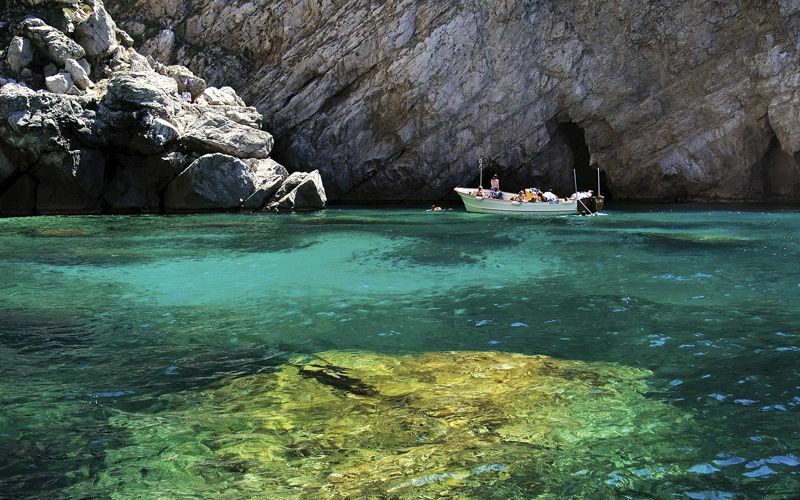 In high season, the wait to enter the Blue Grotto can be as long as an hour, with no shade or refreshment stand. We recommend a sun hat and plenty of water. The Blue Grotto can close due to rough seas or high winds. If you are very decided on visiting, we suggest you ask about conditions at the port before leaving on your tour. 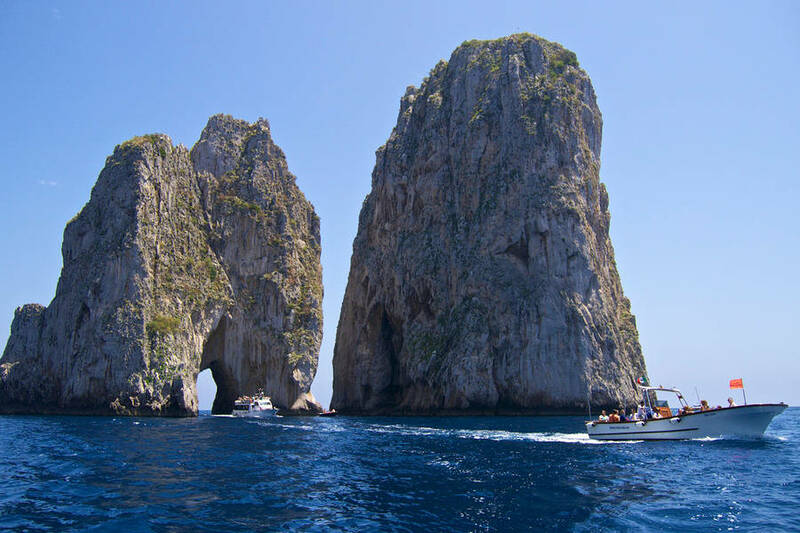 Usually Capri boat tours go clockwise, so if you are on a group tour, the best side from which to view the coastline is the side which faces the right. 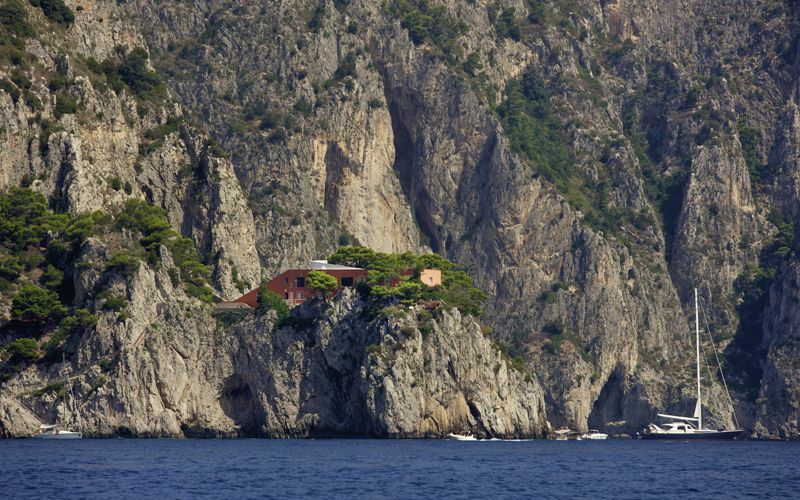 After navigating past Tiberius' Leap topped by Villa Jovis, your tour will follow the southern coast of the island, passing beneath Casa Come Me, the writer Curzio Malaparte's island home. Soon after, you will begin to see the Faraglioni rock formations and pass beneath the stone archway. Legend holds that couples who kiss while passing through will be lucky in love...so snuggle up to your sweetheart! 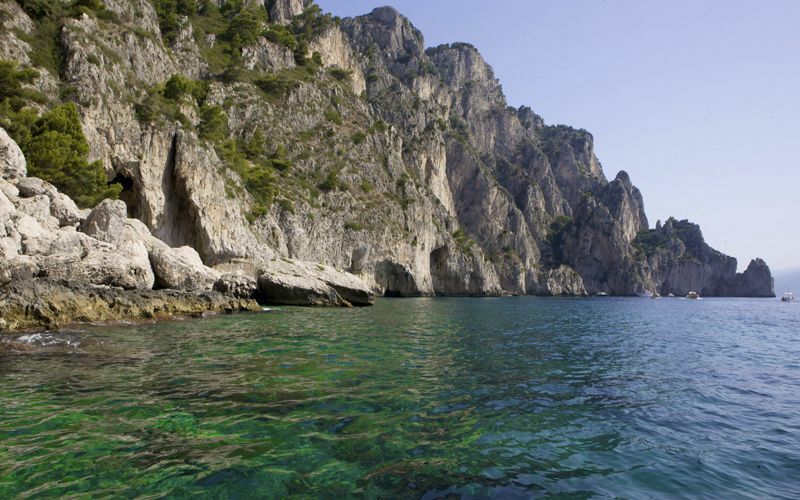 After passing Marina Piccola, you will skirt a stretch of coastline particularly thick with sea caves, including the Grotta dei Santi and the Grotta Verde, which got its name from the water's emerald hue. On the horizon, the imposing Punta Carena lighthouse, the second largest in Italy, stands watch. After leaving the lighthouse behind, the tour begins its return along the northern coast of the island, the most remote and sparsely inhabited. If you look carefully, you may spot wild goats who live among the thick vegetation as you pass. The Blue Grotto is located along this stretch of coast, and your tour will pause here to give passengers a chance to visit, if they wish. The final stop is the Baths of Tiberius, the ancient beach house of the Roman emporer.